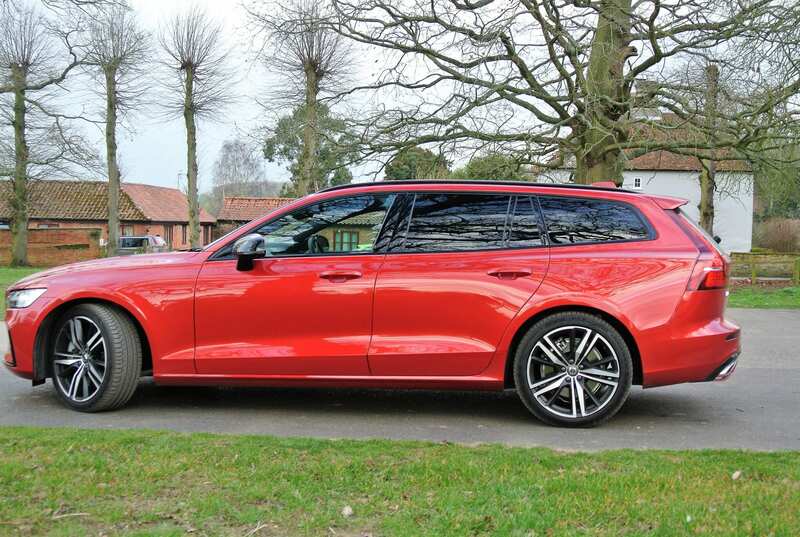 Completing the circle of V60 estate car models in its range, with a most capable sporting variant, which Iain Robertson extended as much as legally possible on the fast, flowing roads of the county of Suffolk, Volvo gives us the enhanced V60 R-Design. When my father used to own a Volvo 122S, in the days of twin-carburretion, or when I ran a long-term test GLT model in the 1990s, we all recognised the sportier designations. Today, R-Design is to Volvo, as VXR is to Vauxhall, or AMG is to Mercedes-Benz. It is the steroid-enhanced alternative. All carmakers worth their salt need to engage with a sportier option in their line-ups of models and, even though Volvo is not a brand to which might be attached an ‘overt’ performance tag (like RS for Ford, or M-Sport for BMW), its innate sense of Scandi-conservatism being the more predominant trait, R-Design allows Volvo to stretch its legs and play a very confident role. Thanks to inherently good chassis dynamics, all Volvo models over the years have lent themselves to a punchier position in motoring life. Not for the first time, have I pressed a Volvo to its utter limits on a racetrack and returned with a satisfied smirk on my face. Of course, in some respects, Volvo is like Skoda, in that many of its non-main roads are untarmacked and rely on consistently regraded gravel surfaces instead. The need to be dynamically-aware is essential in Volvo’s domestic market; durability comes as a secondary benefit. Sadly, without access to Snetterton (nearby Norfolk’s premier racing circuit), I made do with the delightful public roads of Suffolk, mostly on the county’s Heritage Coastal Route, to exploit the V60 R-Design Pro’s much-enhanced qualities. Dicing safely with daily drivers was far easier than you might expect. 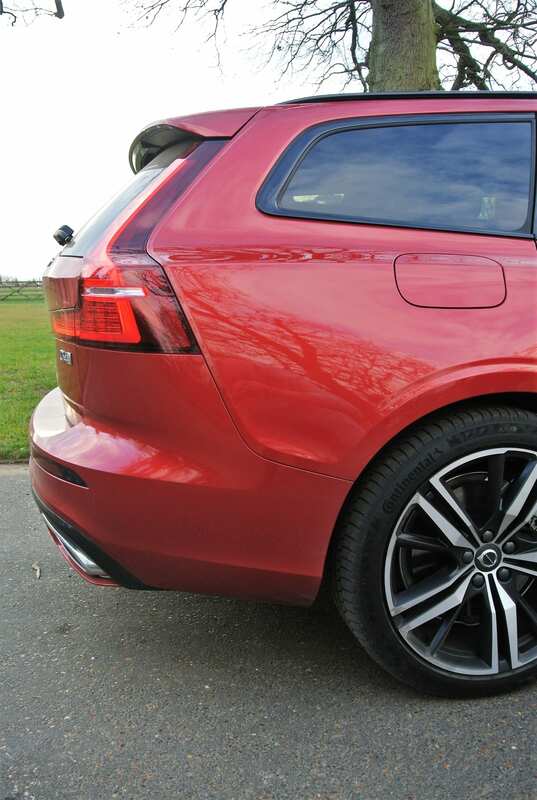 In appearance terms alone, without the plastic wheel-arch lips of the V60 Cross Country model (tested recently), the flanks and bumpers of the regular V60 outline are unadorned and immensely attractive. The hints of ‘Horbury shoulders’, something that the firm’s Chief Designer incorporated from an early stage, allied to the vertical stack of LED tail-lamps, are clear Volvo signatures. The new front grille cascade, more noticeable in profile, still reflects the long-standing Volvo ‘steel and ice’ image. Not all carmakers have the ingenuity (or funds, for that matter) to develop their own engine ranges but Volvo was very clever in its development of an engine block that could be used for both diesel and petrol assemblies, in either three (1.5-litre), or four-cylinder forms. All are turbocharged but twin-turbos hike up the power and factoring-in an electric engine (Twin-Power) creates even more grunt. In its most popular D4 TDi guise, the 2.0-litre displacement modular engine delivers a healthy 190bhp, which translates into a road tax-affordable 124g/km CO2 and a frugal up to 52.3mpg, and progress is silken, refined and surprisingly brisk. The 8-speed auto-box slurs rapidly between ratios, either by flexing the stubby selector lever, or tugging on either of the ‘up’ and ‘down’ paddle-shifters located on the steering wheel’s cross-spokes, to despatch the 0-60mph sprint in a zesty 7.6s, before hitting a maximum speed of around 137mph. Of course, V60 is a large car and it tips the scales at a hearty 1,669kgs. Fortunately, its wieldiness is uncorrupted and, thanks to deliciously communicative steering, firm but not uncomfortable and beautifully damped suspension, allied to amazing stopping power, this sporting estate car can cover ground at an astonishing rate. The bulk seems to shrink around the driver, making the V60 feel significantly smaller than it is. In addition, there is an enjoyable turbine linearity to its power delivery. 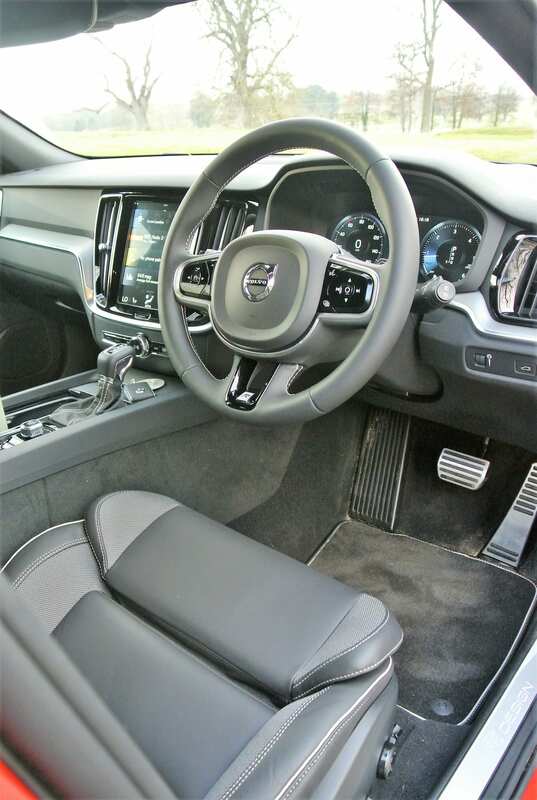 Inside the car, the Volvo personality is stamped proudly on every high-quality trim panel, instrument face and the beguilingly knurled switchgear. 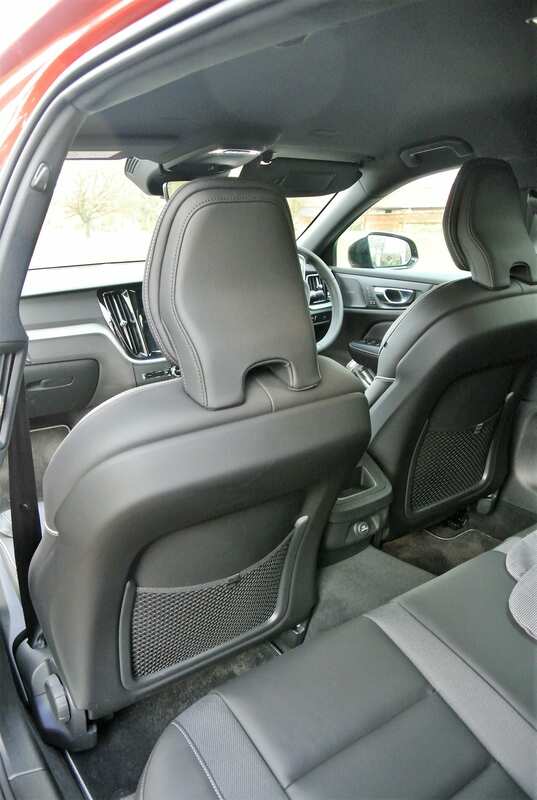 Volvo has been clever to stick to its own interior design remit, which is quite different to that of its three key Teutonic rivals. All contact surfaces are soft-touch and of unerringly high-quality in terms of both fit and finish. 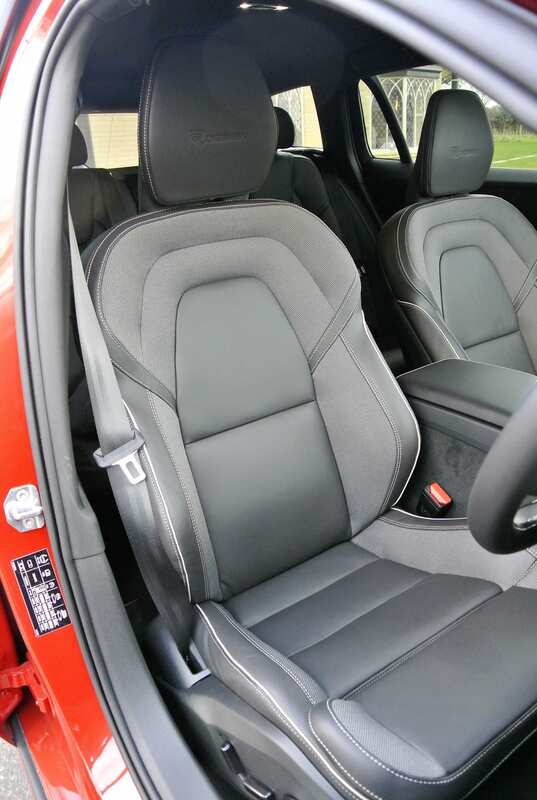 The car’s multi-adjustable front seats offer unrelenting comfort and support, thanks to an extendible thigh bolster and high shoulders to the seat-backs, all of which contribute to a driving position that is one of the finest in class. While they can all be closed off, with sliding, or lifting covers, a plethora of small storage slots abounds in both centre console and lower door trims, while the glovebox is of practical dimensions. Of course, the boot is enormous and can be enlarged by folding forwards the back seats to more than double the available space. The resultant flat floor is eminently practical. Naturally, for a car in the up-market bracket, you pay for the privilege, although its list price is an affordable pre-dealer allowance/discount £40,210 (the test car carrying a further £5,750’s worth of options that include £1,075 for the retractable tow-bar and £750 for the four-way adaptive dampers). 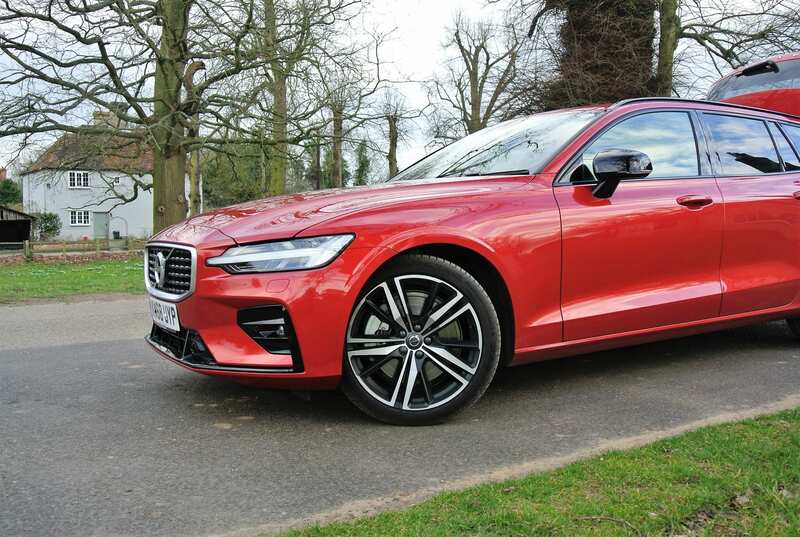 Volvo charges for its smartphone integration package (+£300) but connectivity options are good and the customary market-leading safety and driver aids, which includes Volvo’s brand-specific technology, create a sound base for either business, or private motoring needs. The Harman Kardon high-end stereo costs a whopping £825, while the rear parking camera is £375, temporary spare wheel and jack are £150 and metallic paint adds another £650. 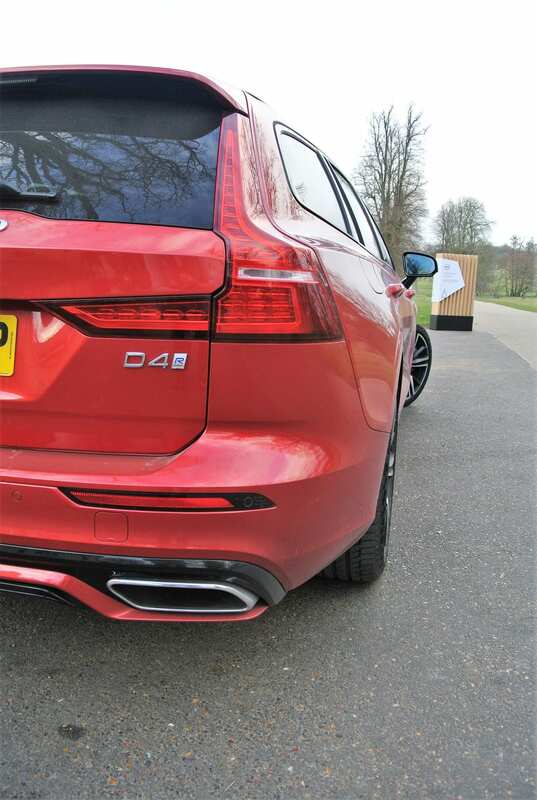 As a sporting package, the V60 R-Design Pro is a very complete one and its comprehensive raft of driver-pleasing features ensures that most owners will want for little more. Its appeal to me is total and I have no fear in recommending it against its key rivals. It tackled the back doubles of Suffolk with disarming aplomb and the verve of a hot hatchback, all the while inferring a sense of inherent safety and sturdiness to the driver and occupants. It is, after all, a Volvo. Conclusion: I cannot help myself, I love Volvo. It is a user-friendly brand that works tirelessly to create a safety-focused driving environment that is as inobtrusive as possible. Despite Volvo’s unerring commitment to technology, it has never forgotten that people still enjoy driving its cars.